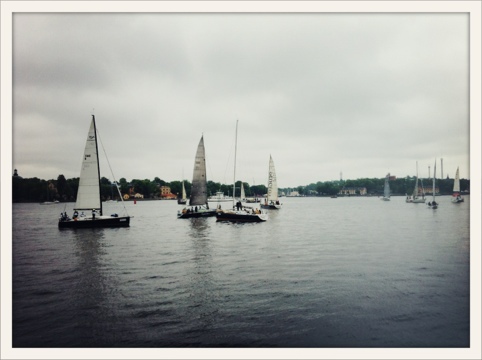 ÅF OFFSHORE RACE, 2012, STOCKHOLM. The annual, classic Swedish offshore sailing race around the island of Gotland in the Baltic Sea is under way. 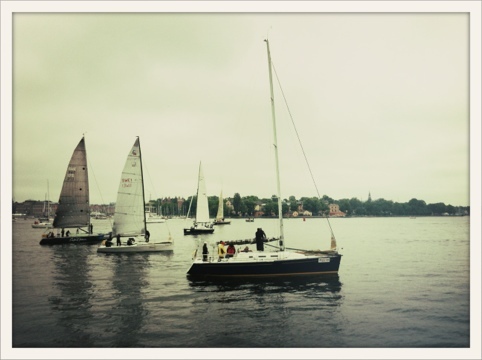 The first set of boats in the fastest category started 11 AM in Stockholm on Saturday, in slow winds and under gray skies. In theory, a fast boat could make it back to the finish at Sandhamn out in the archipelago in 36 to 48 hours. Last year’s race was won by billionaire Niklas Zennstrom, founder of the Skype IP phone service, with his boat Ràn. The start of the race was moved from Sandhamn to central Stockholm two years ago, although the finish remains at Sandhamn. The move, which came with consultancy firm ÅF’s decision to sponsor the event, had stirred some criticism as business owners in the archipelago have been hit financially.